Ah, springtime. 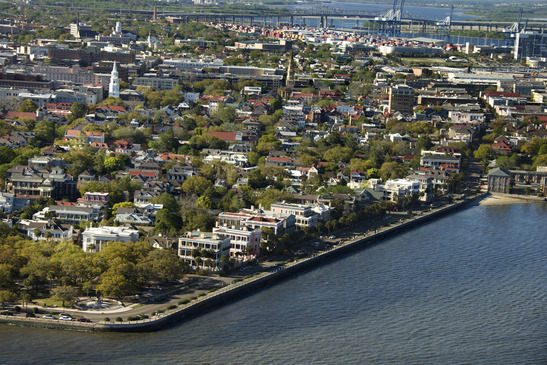 Beginning in April, Charleston, South Carolina, reawakens to sunshine, longer days, and lots to do. Events in Charleston SC get locals and visitors alike outside to enjoy the spring air. So whether you’re in town for the beaches or for an appointment at the Southeastern Spine Institute, make sure you time it right to participate in some of these fun activities. If you’re in the midst of back treatment at Southeastern Spine, you may not want to get out to be active quite yet. But you still can enjoy what Charleston has to offer. Here’s a stage production for your senses on Tuesday evening, April 7. If you like classical music and ballet, get thee hence! See a video and buy tickets. On Saturday, April 18, from 11:00 AM to 8:00 PM, the Grove at Patriots Point rocks out to live music and more. You’ll find performance and visual art, crafts, artisan vendors, food (of course) and beer and wine. This rain-or-shine event highlights local, regional, national and international bands. Come to listen and to dance! Buy your tickets and learn more. Sunday, April 26, 2015 marks the 28th annual festival for the town of Mount Pleasant. It takes place at Memorial Waterfront Park from 11:30 AM to 6:00 PM. This is one of the most anticipated events in Charleston SC. There will be a boat parade, a craft show, live music, free activities for the kids and of course lots of food! Get the details about the event or check out their Facebook page. Also on April 26, from 4:00 to 7:00 PM, the Chef’s Potluck promises to be one of the best food events in Charleston SC. Local farmers, fishermen and ranchers get paired with area chefs to prepare special dishes. There will be live music, beverages and dessert. You get it all for the admission price ($95 for non-members of Lowcountry Local First). Get the scoop and buy tickets. On Sunday, May 3, from 1:00 to 5:00 PM, on the beach at the Charleston Harbor Resort & Marina, 16 burger chefs battle to be champion. This ticketed, family-friendly event will offer live music and craft beer to accompany the main course: burgers! This is the inaugural competition, but they hope to make it an annual event. Find out more. As events in Charleston SC go, this one promises to soak its participants. On Saturday, May 16, from noon to 8:00 PM, at the Grove at Patriots Point, Charleston’s largest “pop-up beer festival” returns with more craft beer, lots of food, live music and the beer Olympics. Advance tickets are just $25 for general admission or $50 for the VIP treatment. Get more information and buy tickets. Charleston appreciates the arts, too. This festival celebrates artists from the Southeast from the visual arts to dance, the spoken word, crafts and film. It starts on May 22 and runs through June 7. You must buy tickets, but of all the events in Charleston SC, this may be the most unique. Find out more and buy tickets.